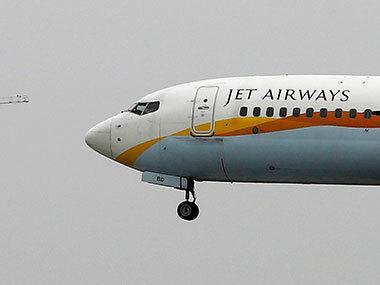 In a bid to give financial relief to the ailing Jet Airways, the crisis-hit airline's founder Naresh Goyal expressed willingness to pledge rest of his shares to the lenders on condition that they release the promised interim fund of Rs 1,500 crore without delay, said a media report. Goyal reportedly told the lenders seeking to rescue the carrier that he would pledge the rest of his shares to them on condition that they release the promised interim loan funding of Rs 1,500 crore without delay, The Economic Times said quoting three people aware of the matter. Jet Airways’ lenders, under the proposed bailout terms, would hold just over 50 percent of the airline, Goyal would hold 25.5 percent and the airline's second-largest shareholder Etihad Airways’ stake would be 12 percent. Goyal held 51 percent the airline, but pledged 31.2 percent with lenders as per the rescue deal. 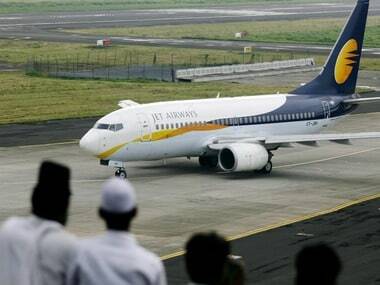 Meanwhile, Jet Airways has massively reduced its operations from its main hub Mumbai to just about 32 flights on Tuesday, said a PTI report quoting an airline source. On Tuesday, the pilots of the airline has threatened to resort to legal way if their delayed salaries were not cleared soon. After going soft on the management for over the past few months on pending salaries, Jet Airways domestic pilots body, the National Aviators Guild (NAG), threatened to take legal recourse if the dues are not cleared by early next week. In a legal notice to Dube, the guild that claims membership of around 1,100 domestic pilots, said each day they are left worried as salary arrears keep piling up. Pilots along with engineers and senior executives have not been paid for the last three months amid cash-crunch in the airline that began last July, and saw an ownership change last month with banks taking majority shares and founder chairman Naresh Goyal leaving the airline and halving his stake-holding in the airline. 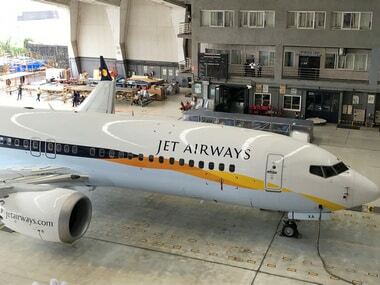 Meanwhile, the Jet Airways board is likely to meet in Mumbai on Wednesday and discuss the latest development, said an airline source. "The Jet Airways board will have its meeting in Mumbai where it is expected to discuss the operational issues besides the appointment of (former SBI chief) A K Purwar as the new chairman," the source said.